"The Mother of Modern Medicine"
One of the weirder religious manifestations of this century is The Cult of Henrietta Lacks’ Cancer Cells that is huge among NPR listeners and the like. (CNN) Her cells are responsible for the polio vaccine, gene mapping and in vitro fertilization to name a few. But for a long time most of the public didn’t know her contribution to modern medicine. Neither did she because her cells were harvested without her consent. 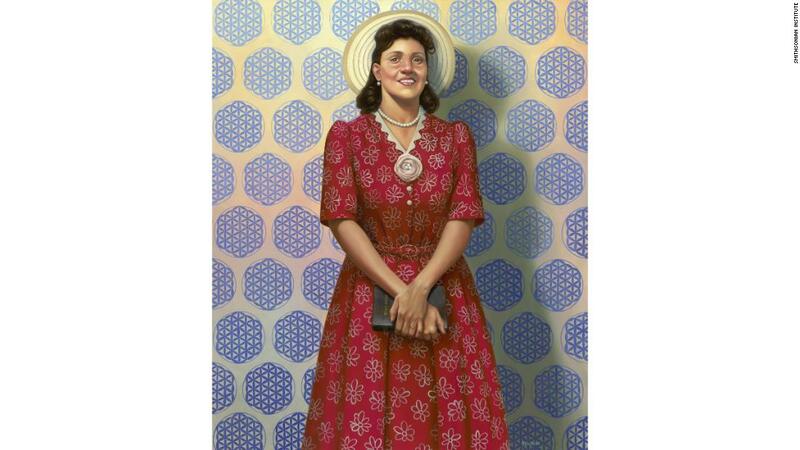 This week, the Smithsonian unveiled a portrait of Henrietta Lacks, the black tobacco farmer who ended up changing the world. The New York Times best-selling book, “The Immortal Life of Henrietta Lacks,” introduced Lacks — and what she did for medicine — to the world. An HBO film by the same name, starring Oprah Winfrey, helped disseminate her story further. How long until Cold Spring Harbor Laboratory renames its Watson School of Biological Sciences as the Lacks School of Immortal Biological Holiness? That should be Amy Harmon’s next crusade. BALTIMORE — The e-mail from her sister said “Read Now!” so Veronica Spencer sat right down to open it. Maybe it was about the soon-to-be released Oprah Winfrey/HBO movie about Spencer’s great-grandmother Henrietta Lacks, the Baltimore cancer patient whose cells were collected by Johns Hopkins researchers without her knowledge. Or about Spencer’s upcoming speech in Indiana, where she would talk to medical students about Henrietta’s role in revolutionizing medicine. The March 2 e-mail contained a link to a college newspaper story about her grandfather and uncle. Lawrence Lacks — Henrietta’s oldest child — and his son, Ron Lacks, had long been unhappy with the family’s portrayal in the best-selling book “The Immortal Life of Henrietta Lacks” and the way some of their relatives continue to profit from it by giving speeches around the country. Now they were leveling a series of very public charges at the book’s author and publisher, Winfrey, HBO executives, officials at Johns Hopkins Hospital, the National Institutes of Health and other family members, accusing them variously of misrepresentation, exploitation and fraud. The most explosive allegation was that some family members aren’t family members at all. Her Pop-pop, whom Spencer worshiped from childhood, and her Uncle Ron, who used to give her pony rides on his back, were saying that Veronica and her sister were not really their kin and that they had the DNA tests to prove it. Last month, Lawrence and Ron Lacks — with the help of a Baltimore publicist willing to make incendiary charges — began a campaign to assert near-total control over the growing endeavors surrounding Henrietta Lacks. Henrietta died in 1951, but her tumor cells have been cultivated to this day. The “HeLa” cell line has been central to the development of vaccines, cloning, gene mapping and billions of dollars in medical breakthroughs. The story had been largely unknown until Rebecca Skloot, a science writer, and Henrietta’s youngest daughter, Deborah Lacks, spent more than a decade prying the tale from hospital archives. Skloot’s 2010 book was a commercial and critical smash, selling more than 2.5 million copies. A page-turning lesson in ethics, race and family fealty, the book is now assigned reading at hundreds of colleges and medical schools. Oprah secured the movie rights within months and will star as Deborah Lacks when the film airs on HBO April 22. In scores of emails and news releases sent by their publicist, Karen Campbell, they demanded that the Henrietta Lacks Foundation, established and largely funded by Skloot, be transferred to their control; that HBO and Winfrey’s Harpo Films donate $10 million each to a new foundation started in Lawrence’s name, and that a speakers’ agency stop booking other family members for appearances without Lawrence’s approval. They urged NIH to let Lawrence decide which Lacks family members would serve on the HeLa advisory group and to suspend all research funding to Johns Hopkins. They asked Penguin Random House for an advance to write their own book.